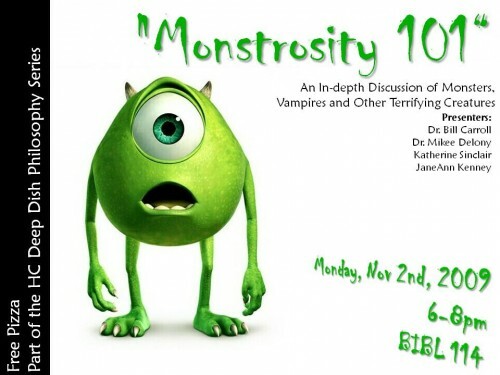 Join us for Monstrosity 101: An In-depth Discussion of Monsters, Vampires, and other Terrifying Creatures! This event is open to all faculty and students. As always, our pizza, discussion, and tales of scary creatures are free of charge! 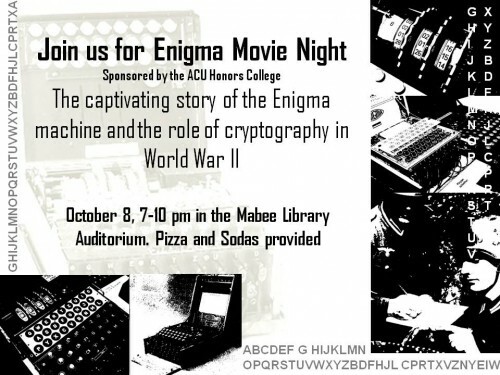 Join us for a night of secrets, cryptography, and pizza!